Think Bingo Review - 200% Cash Match Bonus on your 1st Deposit! Unfortunately, there is no promotional scheme available on Think Bingo to assist us in advertising the site. As such we have provided you with an alternative called Circus Bingo, which is an impressive gaming site offering a great choice for any type of player. If you’re looking for a bingo site that offers quality and experience, then Place a Bet Online may have found the perfect one called Think Bingo. 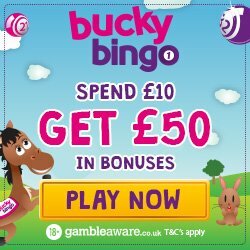 Launched in 2004 Think Bingo is one of the longest gaming sites around, which is pretty impressive in what can be a high turnover industry. With a huge range of games including 90 Ball Bingo, 75 Ball Bingo, Progressive Jackpots, Instant Win, Casino and Slots, you can enjoy featured favourites such as EggOmatic and Secret of the Stones. Even when the pennies are tight you can enjoy both complimentary bingo games and spins on instant games. If this isn’t perfect enough then the fact that you can game on your desktop, mobile and tablet devices, will only add to your excitement. You’ll be able to eliminate those boring daily chores and journeys, or even add fun to those rare moments of relaxation. •	5,000 loyalty points for each friend you refer. 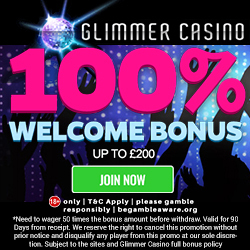 When you register and deposit your first £10 you’ll receive a 200% cash match bonus. This means that you’ll get £20 extra, or a grand total of £30 to game with; now that’s plenty of gaming credit. Bargain Bingo – Every Wednesday at 8pm play the £500 Jackpot Game, where you can enjoy BOGOF bingo. Weekend Bingo – This may only run twice a month, but with tickets costing a mere 5p and the fact that you could win up to £1,000; why not add in to your calendar. If you enjoy making friends as you game, then check out Think Bingo’s chat games and you could win extra Think Points; which is converted into additional gaming credit. Think Bingo reward their gamers merely for playing, because for every 15p wagered on bingo games you’ll earn 1 Think Point. 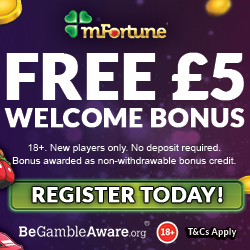 You can then convert 1,000 of your points into £1 bonus money for extra gaming, which is a win win in our eyes. If you fancy joining the red carpet bingo players, then you can apply to the Think Bingo VIP Scheme, where you’ll receive monthly rewards and gifts. For those of you who love telling your mates about the new things in your life, why not tell them about Think Bingo? For each of your friends who registers and deposits, you’ll receive 5,000 loyalty points which can be converted to additional gaming credit. There is a limit to 15 referrals each month, but that’s still plenty of extra gaming credit. For the Facebook fans out there make sure you check out the Think Bingo page, for the latest news, games and promotions. If you require any assistance then you can contact a Think Bingo representative via email or telephone. Think Bingo accept the usual banking methods including Credit and Debit Cards, U Kash, Entropay, Paypal and Paysafe Card. To register and claim the 200% bonus on your 1st deposit, simply head over to Think Bingo and enjoy.